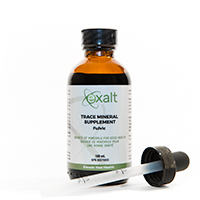 Source of trace minerals with fulvic/humic fractions for good health. Each dose (3 ml) contains 325mg of fulvic/humic complex. Take 1-3 ml ( 1 dropper full = 1 ml) per day.